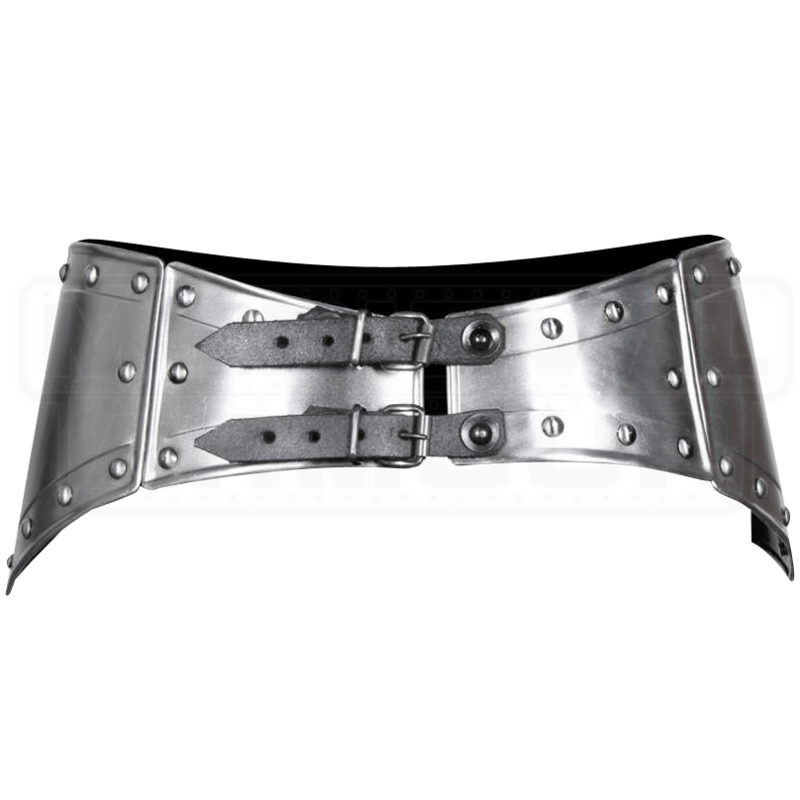 Ladies of the battlefield can slay their enemies in style with the Mina Armour Belt. 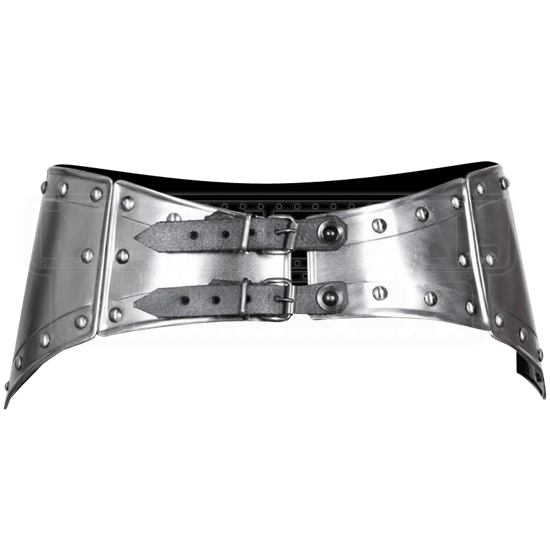 Made of 18 gauge steel, this sturdy armour piece is worn at the hip and fastened by adjustable straps. Rivets adorn the edges of the unique belt. Pair it with other pieces from the Mina armour line, like the Steel Mina Breastplate (MY100040), or Balthasar plate armour, such as the Small Steel Balthasar Gorget (MY100052), for a matching LARP ready outfit suitable for any skilled swordswoman or fearsome shield maiden.